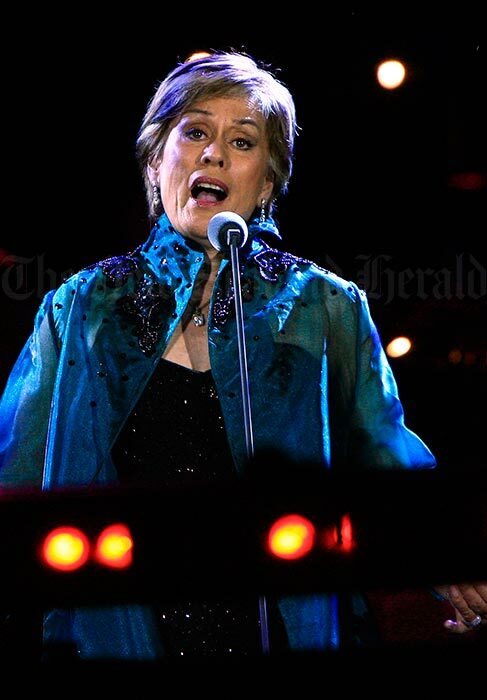 World famous soprano Kiri Te Kanawa is pictured during a concert in Auckland in 2009, the year she announced her retirement from operatic performance. However, in 2014 she was still singing on the world stage. Widely regarded as one of the greatest living New Zealanders, Kiri Te Kanawa, born in Gisborne in 1944, has lived most of her life in England with periodic visits to New Zealand. After winning all the major Australasian vocal prizes, Te Kanawa moved to England in 1965 to study at the London Opera Centre and, later, with former Vienna Opera star Vera Rozsa. Her breakthrough role was Countess Almaviva in Mozart's Marriage of Figaro at the Royal Opera House in 1971, and she became an overnight sensation. As well as taking leading roles in operas by Mozart, Verdi, Richard and Johann Strauss, Puccini, Bizet and Tchaikovsky, she made concert appearances with the world's greatest orchestras and recorded extensively. In 2004 she launched the Kiri Te Kanawa Foundation to provide financial assistance to young New Zealand musicians. Made a Dame Commander of the British Empire in 1982, she joined the prestigious Order of New Zealand in 1995.